Find the right product for you in various price categories. 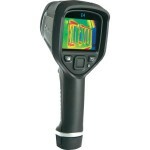 From entry-level to professional models, all thermal imaging cameras are compared here. In detailed comparison tables, you can quickly compare individual features and select a device that fits your application. Important features of a thermal imaging camera include: Sensor resolution, size of the display and an integrated digital camera to capture the visible spectrum next to the thermal image. Decide whether you prefer to rely on an established brand, or perhaps to a rather unknown manufacturer who offers devices at lower prices. Interested people and hobbyists who want to get into thermography are well advised with an a device for smartphones or starter models. If, however, you want to investigate simple issues, such as a building insulation or a small electronic circuit, you will find suitable models in the comparison of devices in the price category for advanced users. For users who want to study more demanding tasks or work in the industrial sector, more powerful models would be recommended. In particular, a higher sensor resolution allows a more effective evaluation of the thermal image and simplifies the problem solution in many application areas. 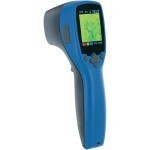 Who is more interested in spot measurements and does not need a sophisticated display should consider the purchase of a camera infrared thermometer. 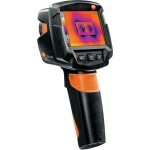 These are often much cheaper than a conventional thermal imaging camera and sometimes have very large detectable temperature ranges. It is often useful to be aware of the intended use of the device, first. Then one can already establish some must-have properties and afterwards inform themselves about further functionalities. If you have found some important comparative criteria, look for the right model in the comparison tables, taking into account your budget and any preferences when choosing the manufacturer. 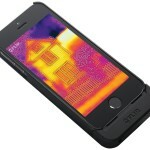 Otherwise, you can go “with the crowd” and rely on the bestsellers among thermal imaging cameras.